It’s easy to see that Dr. Maria Streck loves her job. 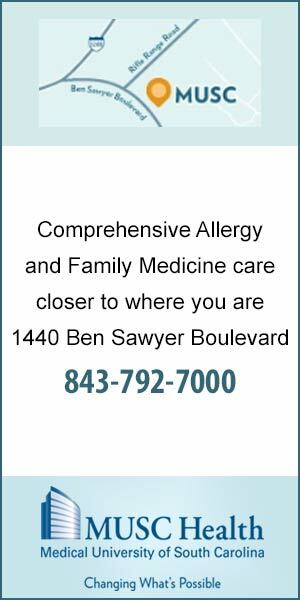 As a board-certified allergy/immunology specialist at Ben Sawyer Primary Care, she has the chance to make a difference for her patients every day. “It’s a great field,” Dr. Streck says. “You can make a difference because there is a lot of change, a lot of research going on. We’re in the forefront still trying to cure allergies. Dr. Streck received her medical degree from Wake Forest University in North Carolina, moving to the University of Tennessee at Memphis to obtain her residency then fellowship in allergy/ immunology. She spent an additional two years in private practice in Memphis before moving to the Lowcountry. With the high pollen counts this area experiences, the Lowcountry is a perfect spot for Dr. Streck to practice her specialty. Although she’s busy, she takes time to enjoy life on the coast with her family. Her husband is also part of the MUSC family, as a Board certified pediatric surgeon. 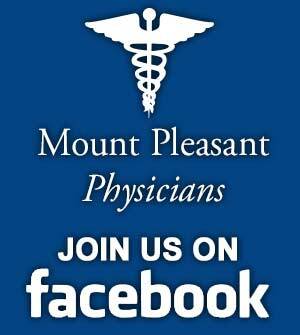 Ben Sawyer Primary Care is located at 1440 Ben Sawyer Boulevard in Mount Pleasant. For more information on the practice or to make an appointment, call 843-876-8333.